From installing high level exterior signage on a 29 story headquarter building, to branding of new acquisitions and large venue sponsorships, Principle demonstrates their expertise and commitment to consistency and brand integrity daily for this important client. Principle has provided implementation management for brand elements including custom interior and exterior signage, vinyl graphics, ATM cabinets and wraps, and illuminated artistic wall messaging displays. Recently, our project team worked with the client to brand their sponsored wing of a major US Sports Stadium, showcasing the Principle Team's aptitude in design development for engineering, production and implementation. 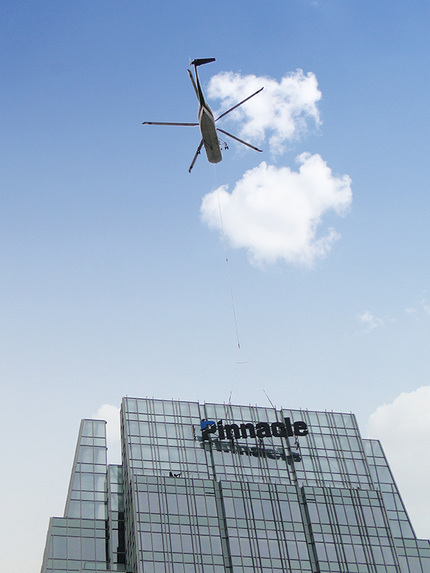 Principle has managed the delivery of Pinnacle's brand image projects with intelligence, efficiency and a wealth of knowledge, which has resulted in a long term relationship with this leading brand.